Central Industrial Security Force Department has published the notification for filling up Head Constable Posts. 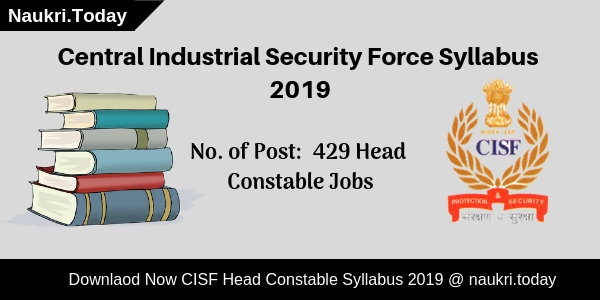 There is 429 Head Constable Vacancies are available for CISF Recruitment 2019. Interested candidates should collect eligibility criteria details from here. Registration for CISF Constable Vacancy will be started from 21 January 2019. Participants should fill up their online application form before the last date 20 February 2019. Applicants who have 10+2 Degree can apply for CISF Jobs 2019 form links given here. Read the below article carefully for further more details. How I Check application Fees, Pay Scale & Selection Criteria For CISF Vacancies 2018 ? How To Fill Online Form for CISF Recruitment 2018 For Constable Driver Vacancies ? 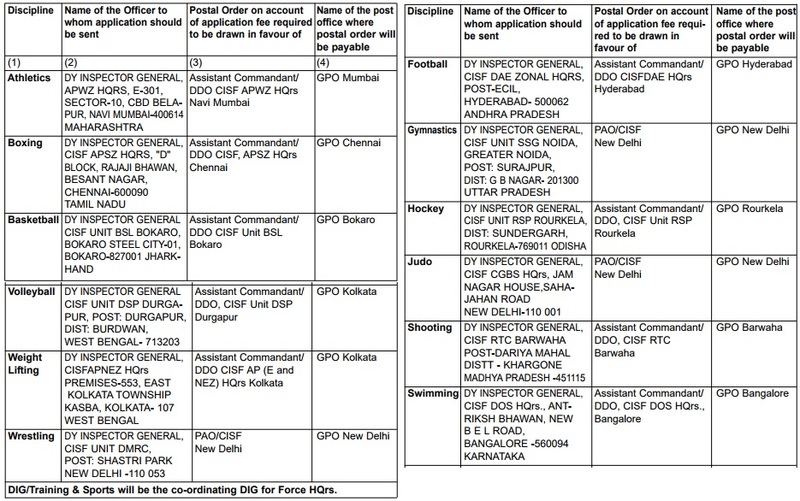 How To Check CISF Sports Quota Vacancies Pay Scale, Application Fees & Selection Criteria ? How To Apply Application Form For CISF Recruitment 2018 – Sports Quota ASI & HC Bharti ? Fresh Updates as on 25.01.2019: Hello Friends, Central Industrail Security Force has released notification for appointing candidates on 429 Head Constable Posts. Interested applicants should collect here eligibility criteria details form here. Eligible candidates may apply online for CISF Recruitment 2019 form links given here. Candidates who have Senior Secondary Examination Pass certificate from any recognized Board of Government can apply for CISF Jobs 2019. For furthermore information candidates may refer to the official CISF Notification 2019. Here we provided you links to download CISF Head Constable Notification 2019. The Department has set 18 years as minimum age and 25 years as the maximum age for CISF Head Constable Vacancy 2019. The Age Limit should be counted as on 22 February 2019 for CISF Vacancy 2019. Upper age relaxation is given to the reserved category candidates only. 5 years of age relaxation is applicable for SC/ST category applicants and 3 years of age relaxation is given to the Other Backward Class candidates for CSIF Jobs 2019. 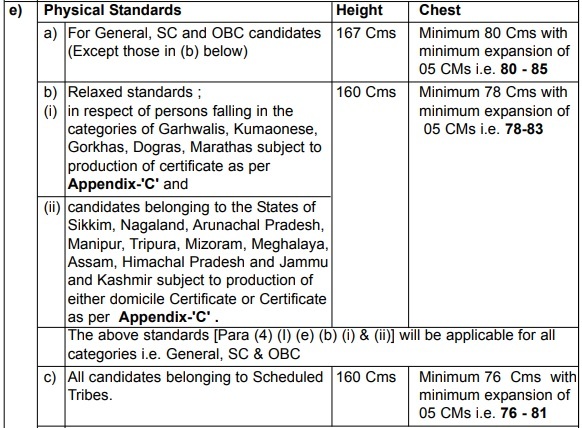 General and OBC Category candidates need to pay Rs. 100/- as an application fee for CISF Recruitment 2019. The Department may exempt SC/ST category aspirants for the payment of an application fee for Head Constable Examination. Candidates can submit their application fee through Online Mode as well as by offline mode for CISF Vacancy 2019. Candidates should use their Credit Card, Debit Card, and Internet Banking for online payment and for Offline payment aspirants should pay through E-Challan. The Department has provided a good amount of PayScale to the Selected Candidates for CISF Jobs 2019. Participants will Get Rs. 25500/- to Rs. 81100/- per month for Head Constable Posts/ Applicants may download Official CISF Notification 2019 form links given here. Selection of Candidates will take place on the basis of Written Examination, Physical Efficiency Test, and Medical Examination for CISF Recruitment 2019. Aspirants should take part in written examination firstly. Candidates who perform well in Examination will go for Medical Examination. Participants who are medical examination will participate in PET Examination. Aspirants who get qualify in all three examinations will get selected for CISF Head Constable Jobs 2019. Candidates who fit in given below medical standard are eligible for CISF Head Constable Recruitment 2019. Applicants who fulfill these requirements can fill up CISF Online Application Form form links given here. Candidates may download Official CISF Notification either from here or from the official website. Visual correction of any kind is not permitted even with glasses. Colour Vision: CP Ill by ISIHARA. Candidates should follow these steps to apply for CISF Head Constable Vacancy 2019. The Registration for Head Constable Posts will be closed 22 February 2019. Applicants may download Official CISF Notification 2019 from here. Eligible candidates may fill up application forms for CISF Recruitment 2019 form links given here. Participants should open the official website of Central Industrial Security Force i.e cisf.gov.in. 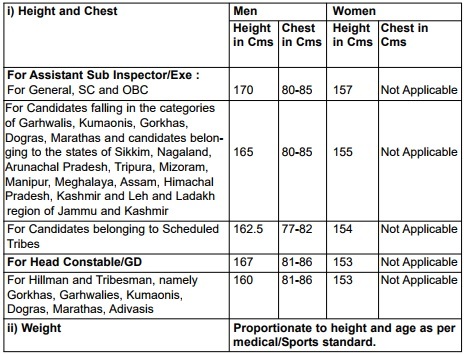 After that candidates may search for CISF Vacancy PDF. Click on the Advt. Link read the complete notification carefully. Now check Eligibility Criteria and other details. Candidates may apply online for CISF Recruitment 2019. Aspirants should recheck your application form and submit your examination fee. Conclusion: Central Industrial Security Force Department has issued notification for filling up 429 Head Constable Vacancies. Candidates should check eligibility criteria for CISF Recruitment 2019 from here. Applicants should read the above article carefully for further more details. Dear Applicants, Central Industrial Security Force has now issued recruitment notification of 447 Constable (Driver) Vacancies. Candidates who are interested in CISF Recruitment 2018 can fill online form for Constable Vacancies. This is great job opportunity for all the job seeker who are searching CISF Constable Jobs. Closing Date of submit online form for CISF Vacancies is 19.03.2018. CISF is inviting online application for filling up 447 Constable (Driver) Jobs. Submission of online form for CISF Vacancies will started from 19.02.2018. Candidates who are interested in Constable Jobs & Going to fill CISF Jobs Online form must read the required eligibility criteria. To get more details about Central Industrial Security Force Jobs like education, age & Other Details then read the below article. Applicants who are going to fill online form for CISF Vacancies 2018 must check required Eligibility Criteria From here. In the below section our team is providing CISF Bharti Education & age Criteria which is required for filling online form. More information you can also check from official notification. Minimum age of the candidates for CISF Driver vacancies must be 21 years & Maximum age should be 27 years as on 19.03.2018. relaxation in age for CISF Constable Recruitment is applicable up to 05 years for SC/ST & 03 years for OBC Category candidates. General & OBC Category candidates must paid Rs. 100/- as application fees for CISF Constable Vacancies 2018. Other category contenders are exempted from paying application fees. Fees must be deposited through online mode only. Candidates who will selected for CISF Constable Recruitment, will paid a good salary as per department norms. After Joining, Candidates will paid Rs. 21,700/- to 69,100/- (Pre revised Pay Scale Rs. 5,200/- to 20,200/- with GP Rs. 2000/-) for CISF Driver Bharti. Selection of the candidates for CISF Recruitment 2018 will based on Department Exam scheme, which is mention below. Final selection will based on marks obtain in all examination. Further information about CISF Jobs Selection criteria you can check from official notification. Candidates who are interested & Eligible For CISF Vacancies 2018 can fill online form here till the last date. Follow the given steps which is helpful for filling CISF Jobs Online Form. First of all candidates log on to the official website www.cisf.gov.in. Now click on career Section& Click on official CISF Vacancies Notification link. Recheck all details filled in CISF Online form before submission. Conclusion : CISF recruitment 2018 For 447 Constable Driver Jobs. candidates can fill online form for CISF Vacancies on or before the last date that is 19.03.2018. Check information from official notification or by reading the above article. Dear Applicants, Central Industrial Security Force has now issued recruitment notification of 118 Assistant Sub Inspector & Head Constable Vacancies through Sports Quota. Those candidates who are interested in CISF Recruitment 2018 can fill application form through offline mode from here till the last date,. Closing Date of filling CISF Sports Quota Jobs Application form is 02nd February 2018. 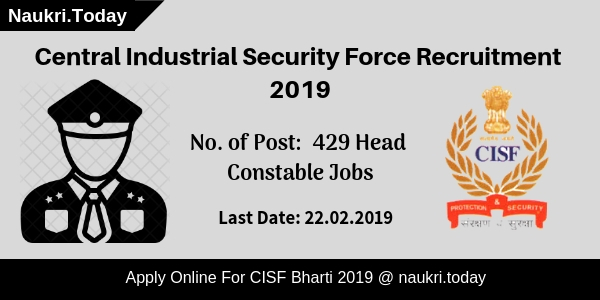 To get more information about Central Industrial Security Force Vacancies you can check from below article. Ministry of Home Affairs is inviting application form for filling up 118 Assistant SI & Head Constable Vacancies in CISF. Submission of Application form for CISF Vacancies has been started. Appliers must check required eligibility Criteria & Other details before filling CISF ASI Jobs Application form. Rest of the details about Education, Age & Other Details about Central Industrial Security Force, is mention in below section. Candidates of North Eastern region. closing date of Filling CISF Application Form : 09.02.2018. 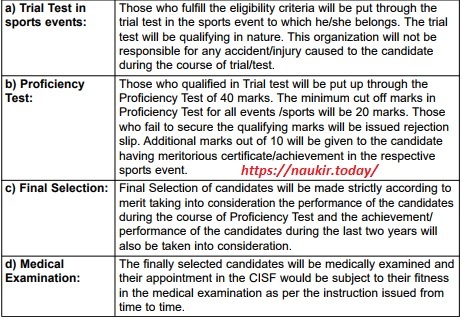 Applicants, those who are going to fill Application Form for CISF Sports Quota Vacancies can check required Eligibility Criteria From here. Our team is providing full details about Required Eligibility Conduction for Filling Form for CISF Jobs 2018. Post wise required education qualification for CISF Vacancies is mention below & you can also check more information from official Central Industrial Security Force Vacancies Notification. ASI Vacancies : Candidates must have done Bachelor’s Degree from any recognized University for CISF ASI Vacancies. Head Constable Jobs : 10+2 passed candidates is eligible for filling form for HC Vacancies. 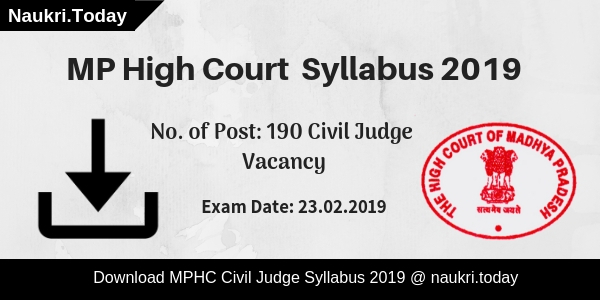 also check Physical Standard for HC & ASI Vacancies which is mention below. Age of the candidates for CISF HC Recruitment must be in between 18 years to 23 years. For ASI Vacancies, age must be in between 20 years to 25 years. Age relaxation for CISF Bharti 2018 is applicable up to 05 years for SC/ST Category & 03 years for OBC Category candidates. SC/ST& ESM Category candidates are exempted from paying application fees for CISF Bharti. Other Category candidates must paid Rs. 100/- as application fee through postal order drawn in favor of officer as per respective posts, which is mention below. ASDI vacancies : Rs. 29,200/- to 92,300/- per month for CISF Vacancies. CISF HC Bharti : Rs. 25,200/ –to 81,100/- per month will paid for this vacancies. Candidates who are eligible & Interested in CISF Vacancies can fill application form till the last date. Follow the given below steps which is helpful for filling online form for CISF Sports Quota Recruitment 2018. First read all steps Then click on apply form link. Then click on Official CISF Jobs 2018 notification link. Read all the information from Sports Quota Vacancy Notification. Take print pout of application form. Then Fill all information in online form properly. Now send the CISF Application Form before the last date, postal address is mention below. Candidates can check Sports wise Application form Postal Address which is mention below. You can also check more information about Postal Address & Application from CISF Notification. Conclusion : – CISF Recruitment 2018 For 118 ASI & HC Jobs through Sports Quota. Candidates can fill online form for CISF Vacancies on or before the last date that is 02.02.2018. Check more information from above article or from Central Industrial Security Force Jobs Notification. Comarsial Lmv cap Licence .driving post A.
cisf2016.11.19 admit card koba pabo?